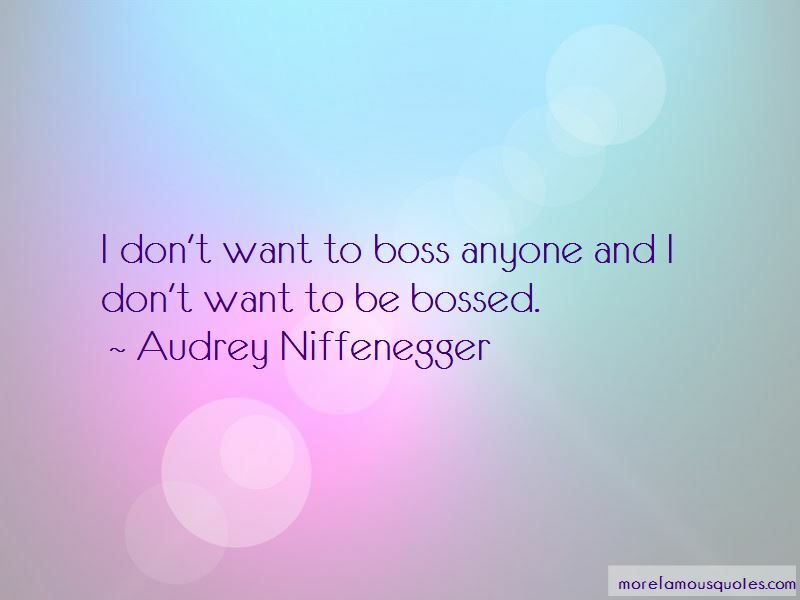 Enjoy the top 216 famous quotes, sayings and quotations by Audrey Niffenegger. What is more basic than the need to be known? It is the entirety of intimacy, the elixir of love, this knowing. When it's over you look up: the world looks the same but you are somehow different and that feeling lingers for days. “She looks up at me, still rocking. "Henry ... why did me decide to do this again?" "Supposedly when it's over they hand you a baby and let you keep it." Oh. A bigger studio. It dawns on me, stupid me, that Henry could win the lottery at any time at all; that he has never bothered to do so because it's not normal; that he has decided to set aside his fanatical dedication to living like a normal person so I can have a studio big enough to roller-skate across; that I am being an ingrate. "Thank you," I say, too abruptly. In the dim light of the computer screen he seemed otherworldly; Julia thought him beautiful, though she knew it was the beauty of damage. I don't know what to say to this Clare who is old and young and different from other girls, who knows that different might be hard. She talked back, but he didn't understand her raven language of harsh caws and soft croaks. “How could you lose me? I'm not going anywhere." "I worry that you will get tired of putting up with my undependableness and you will leave me." Clare puts her sketchbook aside. I sit up. "I won't ever leave you," she says. "Even though you're always leaving me." I reach up and pull my hair back from my face, show him the scar from the accident. Unconsciously, he mimics my gesture, touches the same scar on his own forehead. "It's just like mine," says my self, amazed. "How did you get it?" "The same as you. It is the same. We are the same." A translucent moment. I didn't understand, and then I did, just like that. I watch it happen. I want to be both of us at once, feel again the feeling of losing the edges of my self, of seeing the admixture of future and present for the first time. But I'm too accustomed, too comfortable with it, and so I am left on the outside, remembering the wonder of being nine and suddenly seeing, knowing, that my friend, guide, brother was me. Me, only me. The loneliness of it. 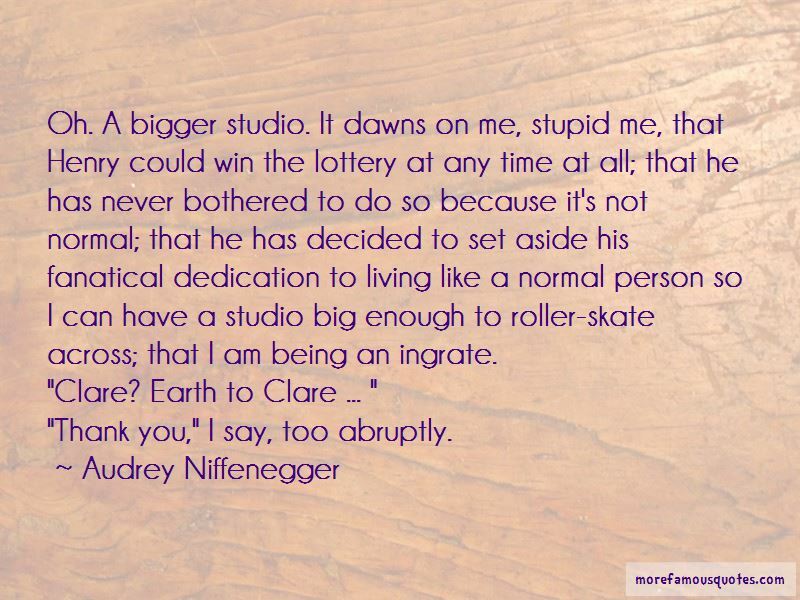 Want to see more pictures of Audrey Niffenegger quotes? 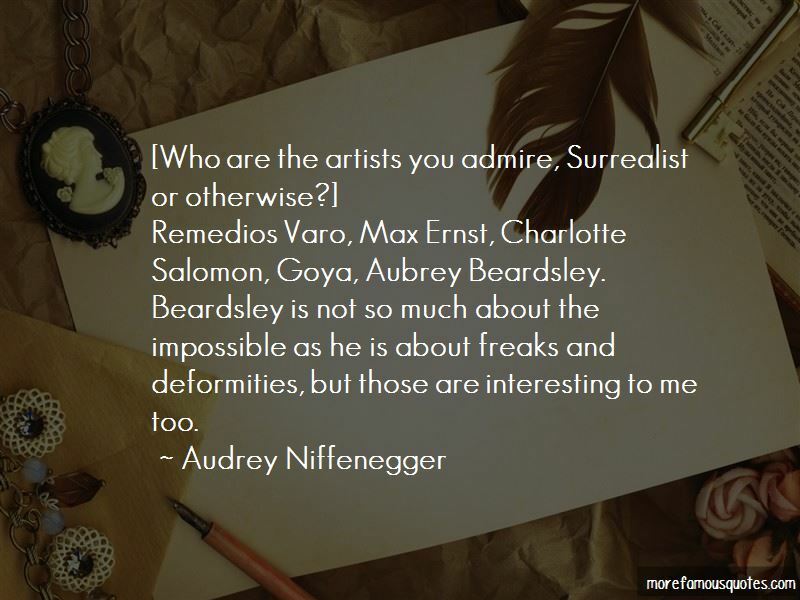 Click on image of Audrey Niffenegger quotes to view full size.